All SUNRIDGE HILLS homes currently listed for sale in Provo as of 04/25/2019 are shown below. You can change the search criteria at any time by pressing the 'Change Search' button below. 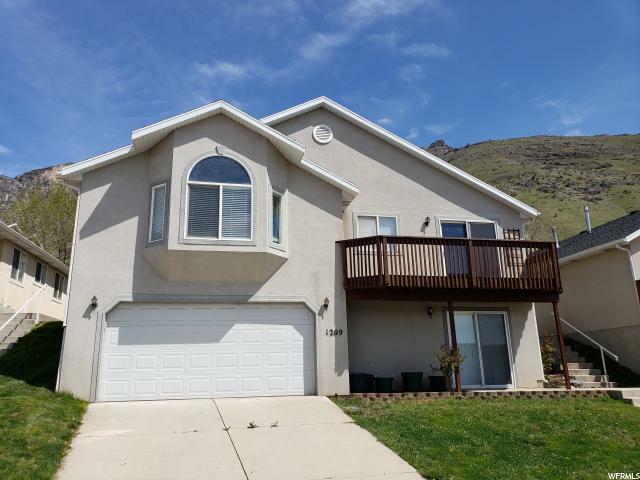 "Rambler with terrific views and huge bedrooms available in south Provo. Easy access to I-15, downtown Provo, and the universities. Great rental possibilities! Brand new carpet throughout, freshly painted, and ready to move in! All 5 bedrooms are large and functional. Excellent great room in basement with walk-out access. From the deck, kitchen, and enormous master suite, the home has views of much of Utah Valley and Utah Lake. Amazing vaulted ceilings on main level! You will not find more home for less money in this type of location! Has been rented 9+ years without any vacancies! Great rental! Buyer and buyer's agent to verify all info"